The United States also pioneered techniques in persuading people to buy the latest products. The development of commercial radio meant that companies could communicate information about their goods to a mass audience. In order to encourage people to purchase expensive goods like motor cars, refrigerators and washing machines, the system of hire-purchase was introduced which allowed customers to pay for these goods by installments. "We are convinced that increased protective duties would be a mistake. They would operate, in general, to increase the prices which domestic consumers would have to pay. By raising prices they would encourage concerns with higher costs to undertake production, thus compelling the consumer to subsidize waste and inefficiency in industry. At the same time they would force him to pay higher rates of profit to established firms which enjoyed lower production costs. A higher level of protection, such as is contemplated by both the House and Senate bills, would therefore raise the cost of living and injure the great majority of our citizens." 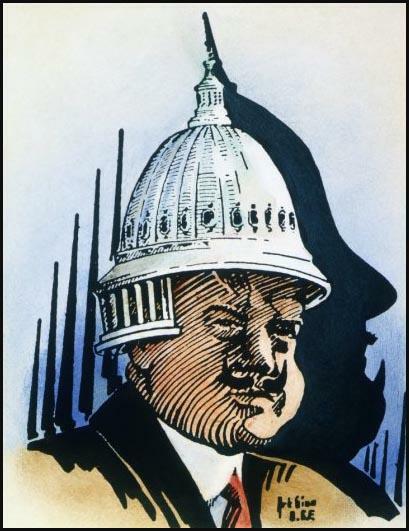 On 31st October, 1932, in a speech in New York City Hoover attempted to show the American public had a clear choice in the election: "This campaign is more than a contest between two men. It is more than a contest between two parties. It is a contest between two philosophies of government. We are told by the opposition that we must have a change, that we must have a new deal.... This question is the basis upon which our opponents are appealing to the people in their fear and their distress. They are proposing changes and so-called new deals which would destroy the very foundations of the American system of life." 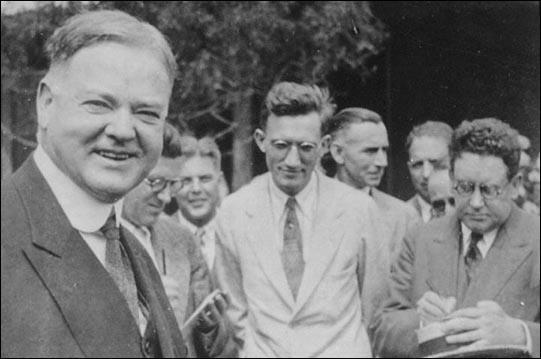 Roosevelt heard Hoover's speech on the radio before appearing in Boston that night: "Once more he warned the people against changing - against a new deal - stating that it would mean changing the fundamental principles of America, what he called the sound principles that have been so long believed in in this country. My friends, my New Deal does not aim to change those principles. Secure in their undying belief in their great tradition and in the sanctity of a free ballot, the people of this country - the employed, the partially employed and the unemployed, those who are fortunate enough to retain some of the means of economic well-being, and those from whom these cruel conditions have taken everything - have stood with patience and fortitude in the face of adversity." 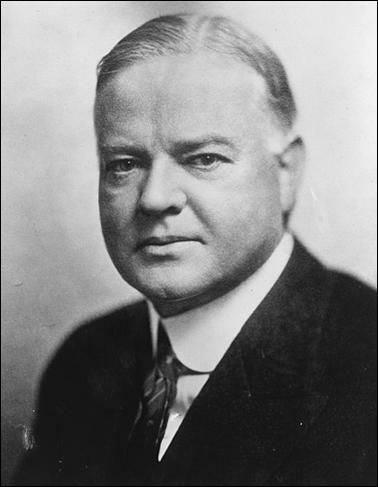 Herbert Hoover died following massive internal bleeding at the age of 90 on 20th October, 1964. By John Simkin (john@spartacus-educational.com) © September 1997 (updated March 2018). The problem of the government is to fix rates which will bring in a maximum amount of revenue to the Treasury and at the same time bear not too heavily on the taxpayer or on business enterprises. A sound tax policy must take into consideration three factors. It must produce sufficient revenue for the government; it must lessen, so far as possible, the burden of taxation on those least able to bear it; and it must also remove those influences which might retard the continued steady development of business and industry on which, in the last analysis, so much of our prosperity depends. Furthermore, a permanent tax system should be designed, not merely for one or two years nor for the effect it may have on any given class of taxpayers but should be worked out with regard to conditions over a long period and with a view to its ultimate effect on the prosperity of the country as a whole. These are the principles on which the Treasury's tax policy is based, and any revision of taxes which ignores these fundamental principles will prove merely a makeshift and must eventually be replaced by a system based on economic rather than political considerations. There is no reason why the question of taxation should not be approached from a nonpartisan and business viewpoint. In recent years, in any discussion of tax revision, the question which has caused most controversy is the proposed reduction of the surtaxes. Yet recommendations for such reductions have not been confined to either Republican or Democratic administrations. My own recommendations on this subject were in line with similar ones made by Secretaries Houston and Glass, both of whom served under a Democratic President. Tax revision should never be made the football either of partisan or class politics but should be worked out by those who have made a careful study of the subject in its larger aspects and are prepared to recommend the course which, in the end, will prove for the country's best interest. I have never viewed taxation as a means of rewarding one class of taxpayers or punishing another. If such a point of view ever controls our public policy, the traditions of freedom, justice, and equality of opportunity, which are the distinguishing characteristics of our American civilization, will have disappeared and in their place we shall have class legislation with all its attendant evils. The man who seeks to perpetuate prejudice and class hatred is doing America an ill service. In attempting to promote or to defeat legislation by arraying one class of taxpayers against another, he shows a complete misconception of those principles of equality on which the country was founded. Any man of energy and initiative in this country can get what he wants out of life. But when that initiative is crippled by legislation or by a tax system which denies him the right to receive a reasonable share of his earnings, then he will no longer exert himself and the country will be deprived of the energy on which its continued greatness depends. This condition has already begun to make itself felt as a result of the present unsound basis of taxation. The existing tax system is an inheritance from the war. 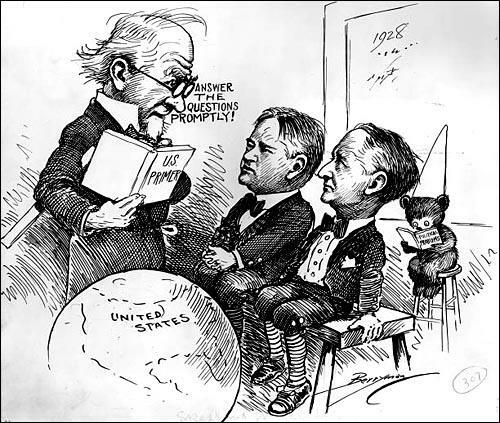 During that time the highest taxes ever levied by any country were borne uncomplainingly by the American people for the purpose of defraying the unusual and ever increasing expenses incident to the successful conduct of a great war. Normal tax rates were increased, and a system of surtaxes was evolved in order to make the man of large income pay more proportionately than the smaller taxpayer. If he had twice as much income, he paid not twice but three or four times as much tax. 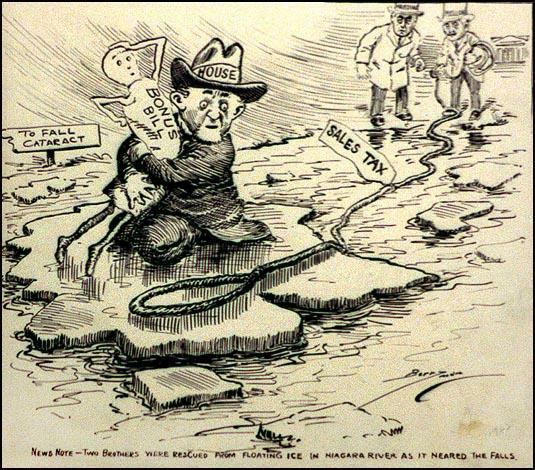 For a short time the surtaxes yielded a large revenue. But since the close of the war people have come to look upon them as a business expense and have treated them accordingly by avoiding payment as much as possible. The history of taxation shows that taxes which are inherently excessive are not paid. The high rates inevitably put pressure upon the taxpayer to withdraw his capital from productive business and invest it in tax-exempt securities or to find other lawful methods of avoiding the realization of taxable income. The result is that the sources of taxation are drying up; wealth is failing to carry its share of the tax burden; and capital is being diverted into channels which yield neither revenue to the government nor profit to the people. 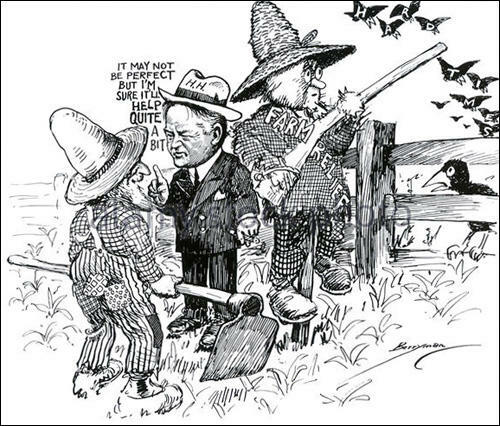 That presidential election with Governor Smith, a Jeffersonian Democratic politician, running to defeat against Hoover, an engineer in business, seemed to mark the end of a period, my period, and perhaps of a culture, the moral culture. 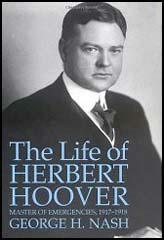 Hoover was the Hamiltonian, who had no democracy in him, none, neither political nor economic. He has shown no sense of the perception that privileges are a cause of our social trouble. He is a moralist in that. He believes in the ownership and management by business men of all business, including land and natural resources, transportation, power, light. Good business is all the good we need. Politics was the only evil, and he has no sense of politics. When he came home from his years and years of professional service in foreign lands, he did not know or care whether he was a Democrat or a Republican; he was a candidate and won some votes for the nomination for president at a Democratic convention. He stood four years later as the Republican candidate of and for business against an able, successful Democrat who was a philosophic, political democrat. 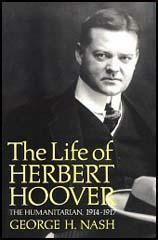 And the people believed, as they voted, with Hoover. Food, shelter, and clothing, plus the car, the radio-prosperity interested them more than any old American principles, which were all on the Democratic side with Smith. I went through that campaign, sensitive, interested, non-partisan. What little I said was in the Jeffersonian tradition, but I was watching to report, not playing to win. I can assert that everybody was for business; even the Democrats who voted for Smith, were for good business, of course; they, too, expected Smith to carry on the good times and favor business. 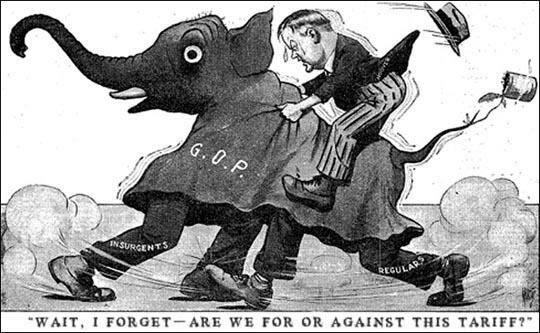 It seems to me that there are many more Republicans in this country than voted for Hoover, that our southern Democrats, party-bound by their traditions, are unconscious Republicans who only think that they are Democrats, who don't know that they are Republicans. In California, where I was living, there were no politics or principles at all. It was all business. 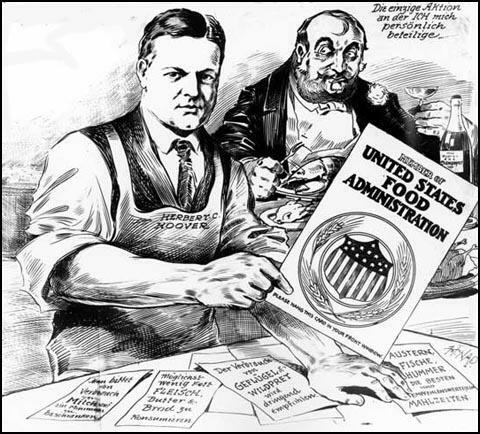 In brief, that was an economic election which sent to the White House Herbert Hoover to do what he is trying to do: to represent business openly, as Coolidge and other presidents had covertly. I have given thought to your request that I should express to you and the Senate Finance Committee my views upon the bill passed by the House of Representatives, increasing the loans to World War veterans upon the so-called bonus certificates. In view of the short time remaining in this session for its consideration I shall comply with your request. The proposal is to authorize loans upon these certificates up to 50% of their face value. And to avoid confusion it must be understood that the face value is the sum payable at the end of the 20 years period (1945) being based on the additional compensation to veterans of about $1,300,000,000 granted about six years ago, plus 25% for deferment, plus 4% compound interest for the 20 year period. As the face value is about $3,423,000,000, loans at 50% thus create a potential liability for the Government of about $1,172,000,000, and, less the loans made under the original Act, the total cash which might be required to be raised by the Treasury is about $1,280,000,000 if all should apply. The Administrator of Veterans' Affairs informs me by the attached letter that he estimates that if present conditions continue, then 75% of the veterans may be expected to claim the loans, or a sum of approximately $1,000,000,000 will need to be raised by the Treasury. I will not undertake to enumerate all of the grounds for objection to this proposal. There are a number of most serious objections, some of which are matters of method and some of which are matters of fundamental principle affecting the future of our country and the service men themselves. I have supported, and the nation should maintain, the important principle that when men have been called into jeopardy of their very lives in protection of the Nation, then the Nation as a whole incurs a special obligation beyond that to any other groups of its citizens. These obligations cannot be wholly met with dollars and cents. But good faith and gratitude require that protection be given to them when in ill health, distress and in need. Over 700,000 World War Veterans or their dependents are today receiving monthly allowances for these reasons. The country should not be called upon, however, either directly or indirectly, to support or make loans to those who can by their own efforts support themselves. By far the largest part of the huge sum proposed in this bill is to be available to those who are not in distress. 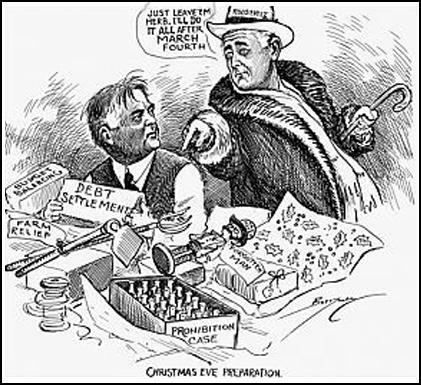 The acute depression and unemployment create a situation of unusual economic sensitiveness, much more easily disturbed at this time than in normal times by the consequences of this legislation, and such action may quite well result in a prolongation of this period of unemployment and suffering in which veterans will themselves suffer with others. By our expansion of public construction for assistance to unemployment and other relief measures, we have imposed upon ourselves a deficit in this fiscal year of upwards of $500,000,000 which must be obtained by issue of securities to the investing public. This bill may possibly require the securing of a further billion of money likewise from the public. Beyond this, the Government is faced with a billion dollars of early maturities of outstanding debts which must be refunded aside from constant renewals of a very large amount of temporary Treasury obligations. The additional burdens of this project cannot but have damaging effect at a time when all effort should be for the rehabilitation of employment through resumption of commerce and industry. There seems to be a misunderstanding in the proposal that the Government securities already lodged with the Treasury to the amount of over $700,000,000 as reserve against these certificates constitute available cash to meet this potential liability. The cash required by the veterans can only be secured by the sale of these securities to the public. The legislation is defective in that this $700,000,000 of Government securities is wholly inadequate to mend either a potential liability of $1,280,000,000 or approximately $1,000,000,000 estimated as possible by the Administrator of Veterans' Affairs, and provision would need to be made at once for this deficiency. The one appealing argument for this legislation is for veterans in distress. The welfare of the veterans as a class is inseparable from that of the country. 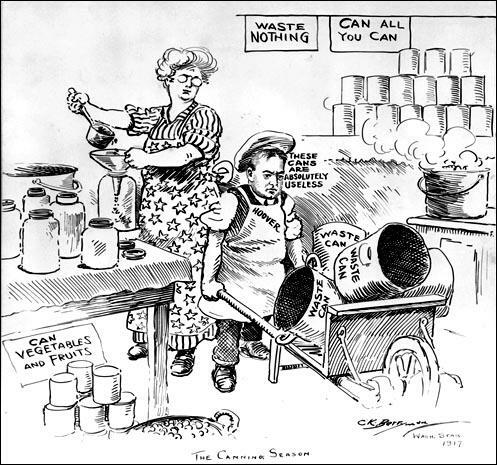 Placing a strain on the savings needed for rehabilitation of employment by a measure which calls upon the Government for a vast sum beyond the call of distress, and so adversely affecting our general situation, will in my view not only nullify the benefits to the veteran but inflict injury to the country as a whole. In my recommendations to Congress and in the organizations created during the past few months, there is a definite program for turning the tide of deflation and starting the country upon the road to recovery. This program has been formulated after consultation with leaders of every branch of American public life, of labor, of agriculture, of commerce, and of industry. A considerable part of it depends on voluntary organization in the country. This is already in action. A part of it requires legislation. It is a non-partisan program. I am interested in its principles rather than its details. I appeal for unity of action for its consummation. 1. Provision for distress among the unemployed by voluntary organization and united action of local authorities in cooperation with the President's Unemployment Relief Organization, whose appeal for organization and funds has met with a response unparalleled since the war. Almost every locality in the country has reported that it will take care of its own. In order to assure that there will be no failure to meet problems as they arise, the organization will continue through the winter. 2. Our employers are organized and will continue to give part-time work instead of discharging a portion of their employees. This plan is affording help to several million people who otherwise would have no resources. The government will continue to aid unemployment over the winter through the large program of Federal construction now in progress. This program represents an expenditure at a rate of over $60,000,000 a month. 3. The strengthening of the Federal Land Bank System in the interest of the farmer. 4. Assistance to homeowners, both agricultural and urban, who are in difficulties in securing renewals of mortgages by strengthening the country banks, savings banks, and building and loan associations through the creation of a system of Home Loan Discount Banks. By restoring these institutions to normal functioning, we will see a revival in employment in new construction. 5. Development of a plan to assure early distribution to depositors in closed banks, and thus relieve the stress amongst millions of smaller depositors and smaller businesses. 6. The creation for the period of the emergency of a Reconstruction Finance Corporation to furnish necessary credit otherwise unattainable under existing circumstances, and so give confidence to agriculture, to industry and to labor against further paralyzing influences and shocks, but more especially by the reopening of credit channels which will assure the maintenance and normal working of the commercial fabric. 7. Assistance to all railroads by protection from unregulated competition, and to the weaker ones by the formation of a credit pool, as authorized by the Interstate Commerce Commission, and by other measures, thus affording security to the bonds held by our insurance companies, our savings banks, and other benevolent trusts, thereby protecting the interest of every family and promoting the recuperation of the railways. 8. The revision of our banking laws so as better to safeguard the depositors. 9. The safeguarding and support of banks through the National Credit Association, which has already given great confidence to bankers and extended their ability to make loans to commerce and industry. 10. The maintenance of the public finance on a sound basis. (a) By drastic economy. (b) Resolute opposition to the enlargement of Federal expenditure until recovery. (c) A temporary increase in taxation, so distributed that the burden may be borne in proportion to ability to pay amongst all groups and in such a fashion as not to retard recovery. For some days police authorities and Treasury officials have been endeavoring to persuade the so-called bonus marchers to evacuate certain buildings which they were occupying without permission. These buildings are on sites where Government construction is in progress and their demolition was necessary in order to extend employment in the District to carry forward the Government's construction program. This morning the occupants of these buildings were notified to evacuate and at the request of the police did evacuate the buildings concerned. Thereafter, however, several thousand men from different camps marched in and attacked the police with brickbats and otherwise injured several policemen, one probably fatally. I have received the attached letter from the Commissioners of the District of Columbia stating that they can no longer preserve law and order in the District. In order to put an end to this rioting and defiance of civil authority, I have asked the Army to assist the District authorities to restore order. Congress made provision for the return home of the so-called bonus marchers who have for many weeks been given every opportunity of free assembly, free speech and free petition to the Congress. Some 5,000 took advantage of this arrangement and have returned to their homes. An examination of a large number of names discloses the fact that a considerable part of those remaining are not veterans; many are communists and persons with criminal records. The veterans amongst these numbers are no doubt aware of the character of their companions and are being led into violence which no government can tolerate. A challenge to the authority of the United States Government has been met, swiftly and firmly. After months of patient indulgence, the Government met overt lawlessness as it always must be met if the cherished processes of self-government are to be preserved. We cannot tolerate the abuse of Constitutional rights by those who would destroy all government, no matter who they may be. Government cannot be coerced by mob rule. The Department of Justice is pressing its investigation into the violence which forced the call for Army detachments, and it is my sincere hope that those agitators who inspired yesterday's attack upon the Federal authority may be brought speedily to trial in the civil courts. There can be no safe harbor in the United States of America for violence. Order and civil tranquillity are the first requisites in the great task of economic reconstruction to which our whole people now are devoting their heroic and noble energies. This national effort must not be retarded in even the slightest degree by organized lawlessness. The first obligation of my office is to uphold and defend the Constitution and the authority of the law. This I propose always to do. The proposals of our opponents will endanger or destroy our system. I especially emphasize that promise to promote "employment for all surplus labour at all times." At first I could not believe that anyone would be so cruel as to hold out hope so absolutely impossible of realization to these 10,000,000 who are unemployed. And I protest against such frivolous promises being held out to a suffering people. If it were possible to give this employment to 10,000,000 people by the Government, it would cost upwards of $9,000,000,000 a year. It would pull down the employment of those who are still at work by the high taxes and the demoralization of credit upon which their employment is dependent. It would mean the growth of a fearful bureaucracy which, once established, could never be dislodged. The lugubrious Hoover sat and sulked, because his disastrous economic sophistry of allocating money at the top in the belief that it would percolate down to the common people had failed. And amidst all this tragedy he ranted in the election campaign that if Franklin Roosevelt got into office the very foundations of the American system - not an infallible system at that moment - would be imperilled.